Okay my game is cursed so. Anyway FLA works perfect in SA with any mods in any qty. Game: GTA IV (with TLAD and TBoGT as DLC's). 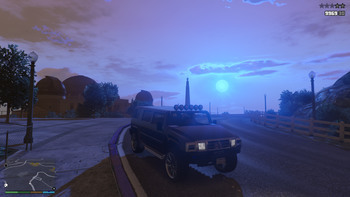 Mods installed: Unified Lore (EFLC Vehicles, EFLC (Retail) Radiostations), Recoil Fix, Simple Native Trainer, XLiveLess, XLiveLessAddon and Ultimate ASI Loader. I can assume your crash occurred while the game was loading, if so, then as it says there, your problem is related with the vehicles.ide data file, you probably skipped an step while adding vehicles; follow this tutorial. 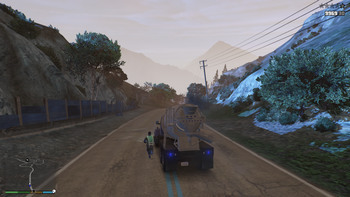 If your using Open Limit Adjuster along side FM's Limit Adjuster, then remember to disable the vehicle limits on this limit adjuster, since open limit adjuster gives you an unlimited amount of "slots" for vehicles. None of my cars are called that. "moped" it's the name of an already existing model in-game, the pizza boy (if I'm not wrong, the Faggio, also uses the same handling data line). I can't tell you why your game crashed this time unless I see the exception address but I can assume is something related with the handling of that motorcycle, you probably modified it in a wrong way, check it and remember to always back up your files. Modloader is perfect for testing custom data files. 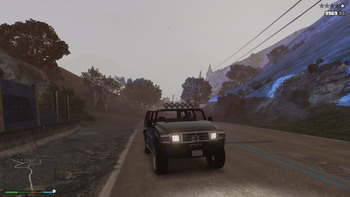 When I change the location of the added cars's handling files in handling.cfg The message changes to "HUNTER" or "SADLER"
This seems to be a cycle, message me and I will help you. I finally got the handling to work but now after playing a while Im getting a new error. As I said, message me and I will help you; I don't want us to keep spamming here since you keep coming with new problems. This card doesn’t work properly with display, when installed in computer, because of TCC enabled. TCC – Tesla Compute Cluster. When TCC is enabled, this graphics card should not be connected to any display. I have a Nvidia Tesla C2075 taken from HP workstation and mounted into my PC. The driver was installed by Windows 10, but screen resolution wasn't correctly found and had to use 800 x 600 or 1024 x 768. I only had one option in Nvidia Control Panel: Workstation -> Manage GPU utilization. I have disabled TCC by issuing "nvidia-smi.exe -dm 0" and after rebooting the card is properly recognized, everything seems to work. TCC will be disabled. Rebooted the computer and everything seems to work. I have also bought myself WD Caviar 2 TB HDD disk and will transport the files from an old hardly working HDD to the new one soon. Let's go back to this tomorrow. Get yourself additional external HDDs for additional backups. Your data is valuable! 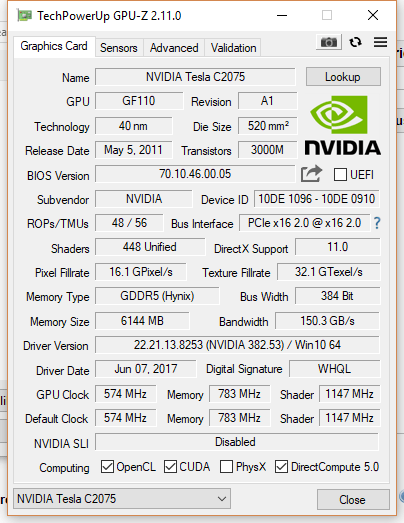 It took me a while to configure Nvidia Tesla C2075. I'm gonna download GTA V from steam. Then I'll check whether it does have any crashes. So,FLA is back on development again? 0x4B322E patch was missing, for the Weapon limits. I have figured out why GTA V may be freezing and closing on the computer. Lately I'm working to transfer the data from one HDD to another one, I'm also interested in the USB pinout. It looks like the color channels are incorrect. Strange. That first pic looks like a Martian sunset by the way. But once you get this all settled, do you think you will be able to make the water quad limit adjustable in GTA V? Maybe if I work on this. Today I have successfully transfered the data from an old 1 TB HDD to the new one 2 TB HDD. I hope you can. I have a belief that the water that I cannot remove is causing crashes around the LC map due to paths and nav meshes. The crashes decrease when I disable vehicles, and they go pretty much go away when I disable cars and peds in a trainer (but can still happen due to props generating peds). The tsunami mod is famous for causing crashes which are due to peds and this is in the stock map. when using modloader, modifying cfg or ide files causes the game to crash even without the car models, I can however get another car mod to work that only modifies one car at a time. I suspect this is due to limits but I have already changed the limits in the ini appropriately, or atleast I think so. @AcomaB: Your zip file contains a lot of mods. Maybe there is a conflict between some mods. What you can do is to add one mod, then test the game, then add another mod and test the game again, and so on until the game crashes. Then remember the last mod you have added and remove the other mods again one-by-one. This way you will find out what is the smallest combination of mods that causes this crash. Also read what the FLA error-dialog says: "post the error log". Most of the mods are from Junior_Djjr, so maybe he knows which mods are incompatible (Make sure you have the latest versions of the mods). Most importantly is however that fastman92 finds the time to continue his work. I am not interested in that. It's too much a hassle to download these files and spend time on it. - WIN_X86, GTA SA 1.0 compact/HOODLUM, (IPL -> Occluders) wouldn't adjust the limit. Fixed. I'm currently debugging bass.dll, it causes Visual Leak Detector to crash. - WIN_X86, GTA SA 1.0 compact/HOODLUM, (IPL -> COccluder, apply coordinate limit patch) implemented. It's been a long time since I wasn't developing the FLA and now I'm back on the track. are you sure about that? if yes that's a f*cking disaster imo. SPECIAL: Make paintjobs work for any ID applied. For custom mission with more than 100 objects and actor spawn after objects where there first it just become actor ball same thing happens to cars they float too. How do I increase that for actors and cars. Object don't have affect even moving them. actor balls and float cars whenever i just place over 1000+ objects in mta map editor then convert to single player using mta2scm for custom mission. I can put actor before objects but spawn new actor after objects they come actor balls which can't do anything, cant even die. Especially jump into after custom mission using sub thread still like this. I was working on the parent melee type for melee type loader in GTA SA.